Associations with the music festivals and Oscar Wilde aside, Reading isn't an obvious travel destination. However it is surrounded by some of Berkshire's most picturesquely rolling countryside, dotted with pretty, thatched-roofed towns and villages and also a throughway for both the Thames and Kennet rivers. So therefore it's worth considering for a weekend away. Our selection of the best places to stay in Reading covers most tastes from country house hotel to ancient coaching inn. Reading is large enough to be a city but because of its large and beautiful abbey - now ruined - no one ever thought to build a cathedral here, so the town missed out. Though the rule was changed so that a cathedral was no longer needed Reading has still, so far, been overlooked by the people who grant royal charters to cities. Reading's size and location, close to the Cotswolds and the Chilterns, mean that a lot of people pass through. If you're just passing though it would be a shame to miss the abbey ruins and the Forbury formal gardens which surround them. Reading also has a free local museum if you're looking for more information about the town. Basildon Park is an impressive Palladian mansion, lauded for its delicate original plasterwork and beautiful pleasure gardens. Silchester is the ruins of a Roman settlement with a complete city wall, an amphitheatre and an ancient church. The Romans abandoned this spot, but unlike many other Roman towns it has not been built over, plenty for archaeologists to discover. Mapledurham is a particularly charming village best known for its working watermill - which still sells flour! - and an Elizabethan manor house. Reading is also close to Pangbourne, Marlow and Thatcham, all known for being particularly old and particularly lovely. Of course Reading is also only a short train journey from London, Oxford, Windsor and Henley-on-Thames so is a great base for seeing the whole Thames valley. Our guide to the best places to stay in Reading has something for all tastes and budgets whether you're looking for a cheap and cheerful B&B or a little luxury. 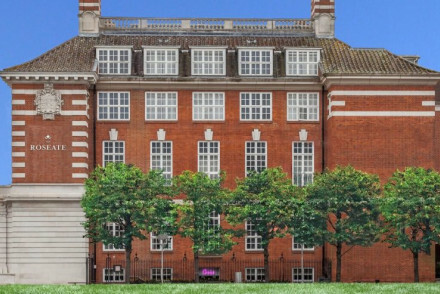 The Forbury blends the traditional and modern with aplomb! With playful colour added to traditional style. There is a trendy bar and restaurant and even a luxurious 30 seat private cinema. 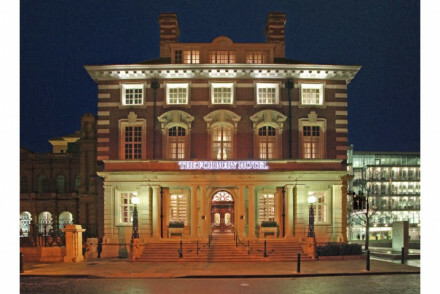 A lively spot and easily one of the best places to stay in Reading! 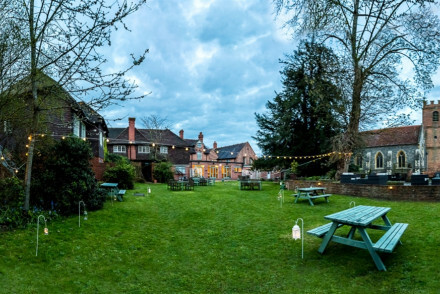 The Elephant at Pangbourne is just a short distance from the 'city' of Reading, but in one of the nicest country village settings in the Thames Valley. The Miller of Mansfield in the pretty village of Goring has a reputation as a romantic country-inn style escape. The bar has plenty of nooks and crannies in which to relax. Good food and river views. The Olde Bell Inn is one of the oldest inns in England, so deserves that old-e. The country cooking has locally sourced produce, some direct from the inn's garden. There is plenty of good country air and Thames-side strolling to be taken. For an extraordinary foodie treat you can't beat the Waterside Inn at Bray. Michel Roux's award winning restaurant also has sumptuous rooms and suites so that you can make a night of it! If you've decided that a self-catering property would be more suitable for your holiday, then we recommend visiting our online booking partner, Booking.com where they have a wide selection for all tastes and budgets. Fly to London Heathrow Airport just 35km from Reading. London Luton Airport, Southampton Airport and London Gatwick Airport are all under 70km away. Reading train station also has good connections across the UK. Reading is a year round destination with each season bringing its own charm however for the best chance at warm sunny days visit in the summer months May - August. Browse through our list of all the best places to stay in Reading. Alternatively look at all our recommendations in Berkshire.